A recent proposal calls for some impressive reforms. Past experience points to a disappointing result. China's State Council is usually described as the nation's equivalent of a cabinet. But when it comes to economic reform, its role often seems closer to that of the New York Times editorial board – a font of sensible liberal ideas that are unlikely to be implemented. Its statement earlier this week on reducing income inequality probably falls into the latter category. 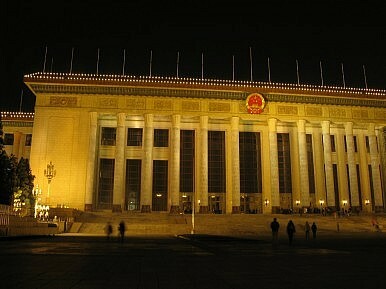 Formally, the Council, made up mostly of China's ministers, is the highest executive body of the Chinese government. Although, being part of the government, it is subordinate to the highest echelons of the Party, the State Council is the body that implements Chinese law and thus has a great deal of power in writing regulations. But in the last few years it has also made a number of grand statements of intent about matters it has proved not to be able to change – the “New 36 Clauses,” a 2010 set of policy goals to stimulate private investment in markets currently dominated by state-owned enterprises (SOEs), languished for years causing the state to issue new follow up documents last year. These failed reform efforts seem to have been a project of Prime Minister Wen Jiabao, who has in recent years made a number of statements calling for dramatic political and economic reform – sometimes to the extent of having his remarks censored inside China. He has seemed increasingly like a lame duck. Tuesday's “Opinions on Deepening Reform of the Income Distribution System” reads like a wish-list for liberals. It calls for steps to encourage consumption: expanding social insurance and allowing banks to pay market interest rates on deposits, which would encourage Chinese savers to seek smaller nest eggs while making it easier to accumulate savings. This would also reduce the pool of nearly free capital available to SOEs. This is backed up proposals that would further level the playing field for non-SOE competitors: requiring SOEs to pay regular dividends and to bid for access to land and natural resources in an open auction. It also calls for increasing the mandatory compensation paid in land seizures and making the tax system more progressive. The document does include a few hard numbers. It calls for SOEs to pay an additional 5 percent of their profits as dividends to the government by 2015 and proposes raising the minimum wage to 40 percent of the average in most regions. But these policy goals would still have to be drafted into regulations to be carried out, and there is no particular reason to think that the ministries that have brushed off the State Council's previous demands to rein in SOEs will be more responsive to this one, especially given SOEs’ political power and the reality that China’s financial system relies on cheap capital and land to fund local governments. Any economic reforms will have to find a way of disentangling this problem and of forcing recalcitrant officials to take the necessary risks. At the same time, it seems clear that China's incoming leaders are interested in economic reform and are preparing to make a serious push for it – the best summary of the evidence comes from Barry Naughton at China’s Leadership Monitor, who includes a lot about incoming Prime Minister Li Keqiang as well as Xi Jinping. But the real question is how they plan to make changes happen, and we have so far no real evidence about this. If these proposals are a guide to the hopes of the incoming administration, it appears that their vision of China's economic future is remarkably close to what international commentators are hoping for. But they are inheriting a Central leadership from Hu Jintao that has often been held captive by massive economic interests. Without a political plan to accomplish reforms, it's too soon to start guessing what China's future will actually look like. China’s former anti-corruption czar is rumored to be the next vice president.